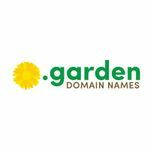 .garden is a TLD delegated in ICANN's New gTLD Program. MMX, also known as Minds + Machines, manages the TLD and is its Registry. The proposed application succeeded and was delegated to the Root Zone on 13 December, 2014. .garden is a generic top-level domain targeted to the gardening industries including gardeners, bloggers, and horticulture equipment and materials manufacturers. The .garden top-level domain aims to bring together horticulturists across the globe through domains that are community focussed, allowing users to show their identity directly in their URL. .garden domains are open to the public. MMX, also known as Minds + Machines, applied for .garden, which is one of 68 applications that the company has filed for on its own behalf. In its application, MMX presented facts that there is a significant population worldwide engaged in gardening. The company believes that the TLD is beneficial for those involved in the gardening sector to connect with each other and share methods, tips, knowledge and expertise in gardening. This applicant submitted a Public Interest Commitment, which can be downloaded here. Donuts (Brice Maple, LLC)- This is one of the 307 new gTLDs filed by the company. A company was formed by Donuts to file its application for each TLD including Brice Maple, LLC for .garden. Donuts raised $100 million capital from various investors to support its registry business. The company invested $56 million for its application fees alone. Donuts main objective is to operate .garden TLD in accordance with the purpose of the New gTLD Program- to promote competition, innovation and to provide an opportunity for internet users interested in establishing an online identity within .garden TLD. Donuts partnered with Demand Media to provide its back-end registry services. This applicant submitted a Public Interest Commitment, which can be downloaded here. On February 26 2013, MMX, also known as Minds + Machines, announced that it had entered into a funding agreement worth $15 million to be used in the case of auction for a specific unnamed TLD. The investor will not receive ownership of the TLD but a share of future revenues. MMX did not name the TLD that the funds are directed for, and it is in 11 head to head contentions and 12 featuring more than one contender. This page was last edited on 7 December 2017, at 18:51.